It’s time again to look at the past year summary. How did I do? 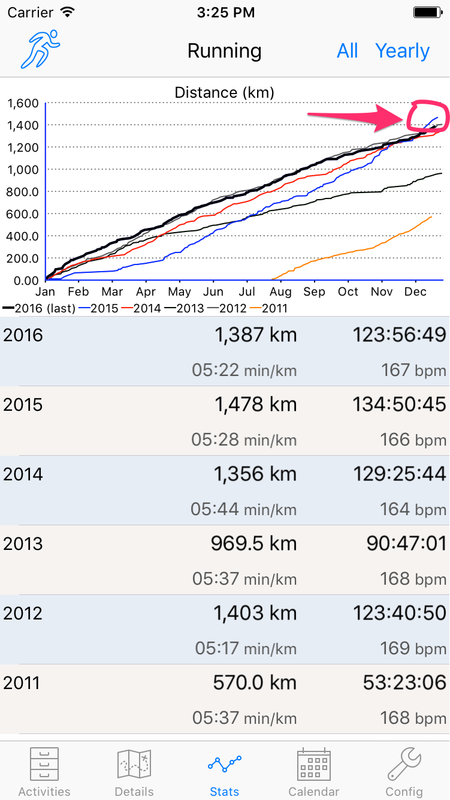 2016 was a fine year, I ran 1387 km, it is 100km behind 2015. 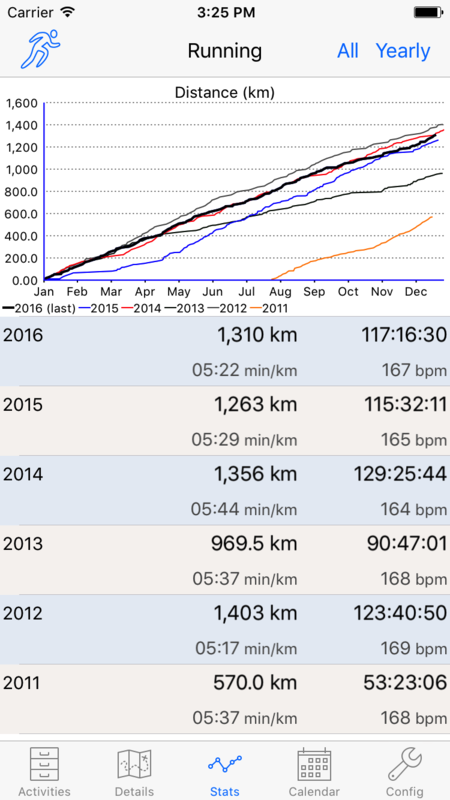 But one aspect bothered me, looking at the distance, there is a clear increase on the graph in December 2015, which put me behind in 2016. It worried me a bit. I couldn’t remember an especially good December last year. 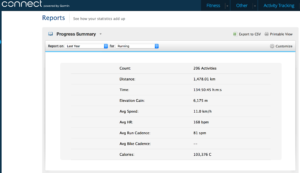 Did I have another bug in ConnectStats? 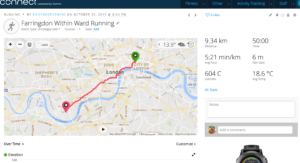 They have a different activity identification number, but they are clearly the same activity except for the altitude gain as you can see on the snapshot above. 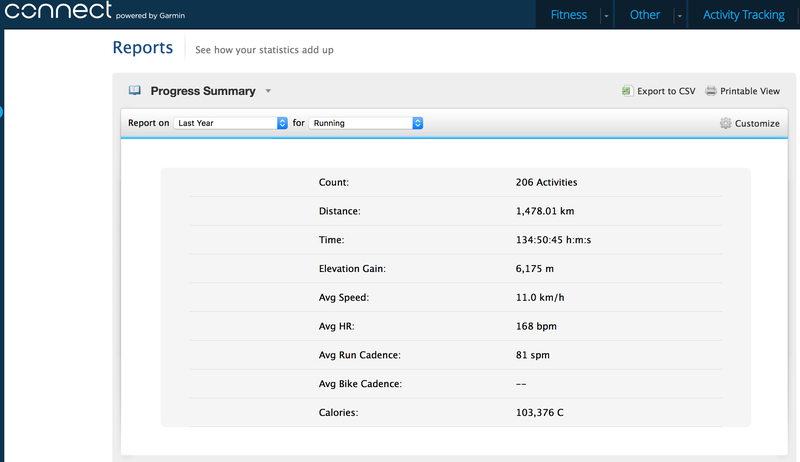 Next steps was to add a new feature to ConnectStats to double check for such duplicate activities and ignore them… Well, my stats are now lower only 1310km but correct. 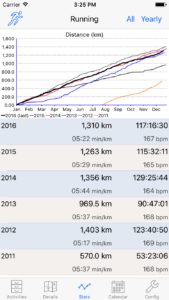 And 2016 is ahead of 2015 by 50km! Yeah! I finally decided to check what Strava reported. My account is linked to import activities automatically. I was curious: would strava have the total including the duplicate as well? 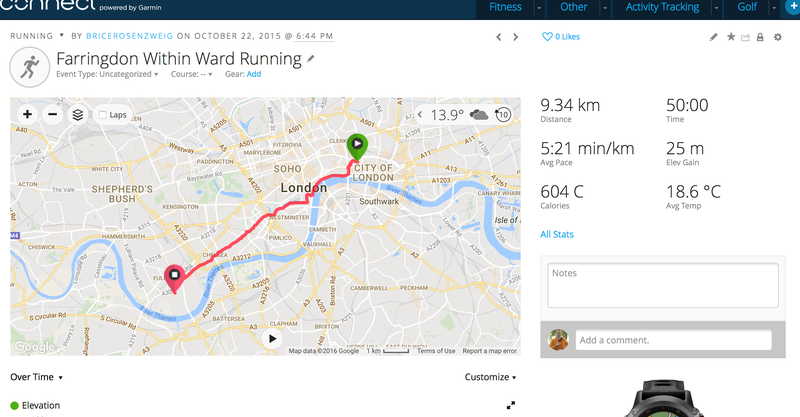 It actually didn’t… The total is 5km off from my new corrected total, but I suspect it is simply due to the slightly different way Strava computes the total distance from the gps file. The fix to search and eliminate duplicate will be included in a new release early next year. This entry was posted in ConnectStats, Garmin, iOS development and tagged bug, ConnectStats by Brice. Bookmark the permalink. Congratulations on beating last years numbers! 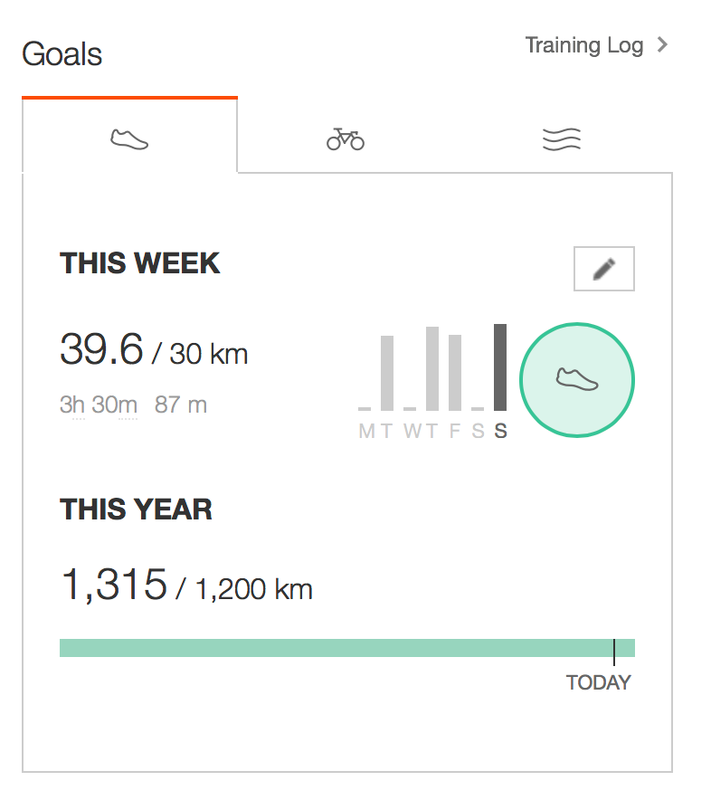 ‘Week, Month and Year to date’ is one of the nicer features I always check on Connectstats, and it’s helped me too to exceed last Years actual mileage and this years Goals. 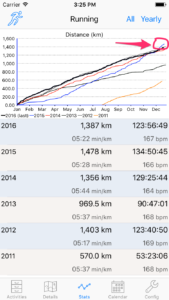 I have double activities using garmin and strava. Little difference in activity time causes it still.